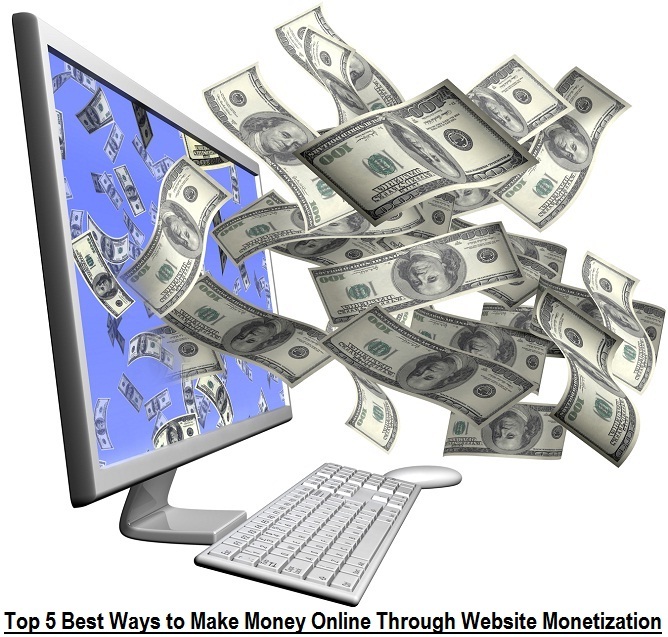 If you own a website or blog and getting huge traffic from all over the world and wondering how to convert potential visitors into profitable business, or if you’re looking for the working methods through which you can make online money without investment from home then you can find our detailed Review of Top Five (5) Best Ways to Earn Money Online through website and blog monetization services listed below. Infolinks offer different advertising forms for publishers, advertisers and brands. Infolinks analyzes text on websites and inserts adverts in the text. They offer intext, intag, infold, inscreen, inframe and inarticle advertisement products. The only downside of Infolinks is that they support websites in English and Spanish only. They wrote on their Support Center page that they are working on making Infolinks available for websites in more languages in the future. They’re still relatively new to online ads business; but quite known in some quarters. The great thing is that they have some reasonable website traffic requirements. Media.net offers display advertising in CPM model. I appreciate their personal support and intuitive dashboard. Media.net is the contextual ad network managed by Bing and Yahoo! Bidvertiser is an old and reliable ad network for most of the publishers and advertisers, their service became very popular in short span of time. It's quite similar to AdBrite. They offer various types of advertising units, so that user can test different options. It is highly recommended by Digital Point and Warrior forum members. It's a Cost-per-Click (CPC) and Cost-per-Mile (CPM) network. Their minimum payout and withdrawal amount is quite less as compare to other market leaders i.e. $10.00. It’s quite a known network, mainly due to good rates and the user-friendly design. They offer different ad types: short links, popads, entry and exit ads. There is also a referral program in Shorte.st. They are eCPM network and eCPM (Effective Cost per Mile) is calculated by dividing total earnings by total number of impressions in thousands. For pop ads they offer publishers a 75% revenue share. It is worth pointing that after your first payout you can ask their Support to create a customized ad page, thanks to which when your visitors see an interstitial advertisement; they think that they are still on your website. The service was really easy to operate for me. I have to say that I earned the most with them. I believe that above examples are enough to start with and to Make Money Online from Home with zero investment and financing. I do not want to convince anyone to use this list but it seems to me that it is always good to have the best alternatives to monetize website and blog to increase revenue and earnings. I might assume that my opinions would not be unthinkingly accepted and, in fact, they shouldn’t be. The most important thing is to consider your needs and adapt an advertising network to the type of your website or blog.